Historically, numerous old collegians cricket sides were put together for one-off matches, most notably to play against the College Senior XI team. However, it wasn’t till 2006 that the Old Whitefriars Cricketers was officially established as part of WOCA. Currently about 70 active players are listed. Since 2006, over 120 old boys, parents and teachers have played for OWC. We are a collective group of both Old Collegians and friends who want to have fun playing cricket and enjoying each other’s company. The benefits will be to be physically, mentally and socially healthy and active. We will embrace our family, friends and competitors. What competition do we participate in? OWC only ever has one team playing at any one time and we play in the prodigious MCC Club XI Competition (circa. 1890s) against other old boys sides including Old Scotch, Old Geelong, Old Carey, Old Melbourne Grammarians, Old Wesley, Melbourne High School OB, Old Caulfield, Old Brighton, Old Haileybury, Old Trinity, University of Melbourne, Monash Tigers and the MCC. As you can imagine, it can get quite competitive between some of these side, where so much pride and history is at stake. 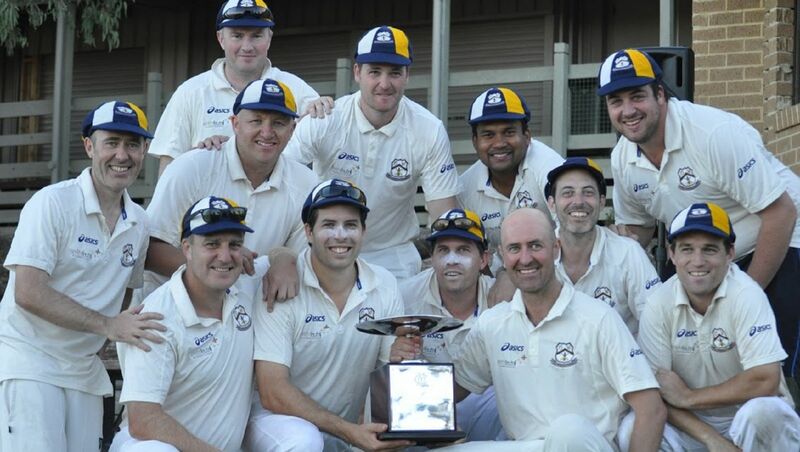 Season 2012/13 saw an amazing performance by Old Whitefriars to win the Division 2 Premiership against Old Xavierians. Click here to visit the Old Whitefriars Cricketers (OWC) website.